Our state care system gives up on hundreds of young people when they turn 18. Within a year, many of them will end up homeless, living on the streets. Anglicare NSW South, NSW West & ACT is part of a national Anglicare advocacy campaign calling for state governments to provide further support to young people leaving care until the age of 21. Anti Poverty Week is a national event encouraging all Australian to organise or take part in an activity to highlight issues of poverty here in Australia. Anglicare is a proud partner of Anti Poverty Week in the ACT and will be hosting a number of events this year. 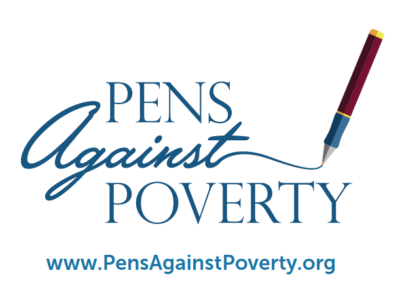 Pens Against Poverty is a writing competition open to anyone in years 3-10 at school. It is an opportunity for students to write a short story or poem to address issues of poverty and vulnerability. Each year there is a different theme such as ‘shelter’ or ‘playing fair’. The winners are selected by renowned young person’s author, Jackie French and awards presented at the closing event of Anti Poverty Week.